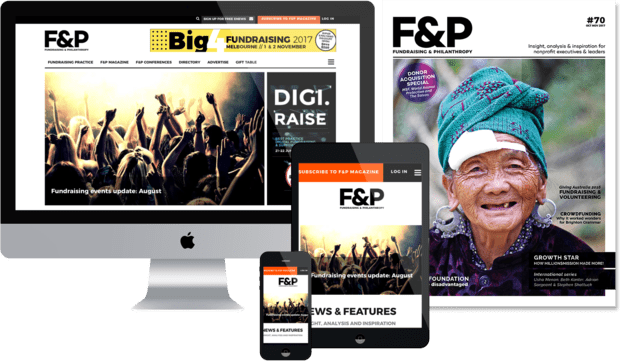 Ahead of EventRaise 2019, the FSHD Global Research Foundation has shared its insights for fundraising managers looking to organise a successful upscale fundraising event. The Sydney Chocolate Ball is set to enter its ninth year, with the annual FSHD Global Research Foundation event now firmly established on the Harbour City’s social calendar. In 2017 the event raised over $1 million, helping to fund vital research into a highly complex muscle-wasting medical condition known as facioscapulohumeral muscular dystrophy (FSHD), which affects the lives of around 3,000 people in Australia and an estimated one million sufferers globally. The aggressive disease causes irreversible weakening and wasting of muscles and is one of the most common forms of muscular dystrophy in both adults and children, with no treatment or cure currently available for the condition. FSHD Global Research Foundation Managing Director Natalie Moss has a personal connection to the disease – her father, businessman and philanthropist Bill Moss, has FSHD. The FSHD Global Research Foundation was founded in 2007 and since then has raised more than $8 million for international medical research aimed at finding treatments and a cure. Known for its transparency and innovation – its FSHD Find the Cure app allows donors to track exactly which medical research grant or grants their donation has funded – the Foundation won the Charity of the Year at the 2017 Australian Charity Awards. And in 2018, the Foundation’s flagship event was a finalist for an FIA Excellence in Fundraising Award. Moss says the idea for the annual event was hatched in 2008, a year after the Foundation was formed. Danielle Thomson, Chief Executive Officer, FSHD Global Research Foundation will present more event fundraising insights from the Sydney Chocolate Ball at EventRaise 2019. Click here for more information and to register. 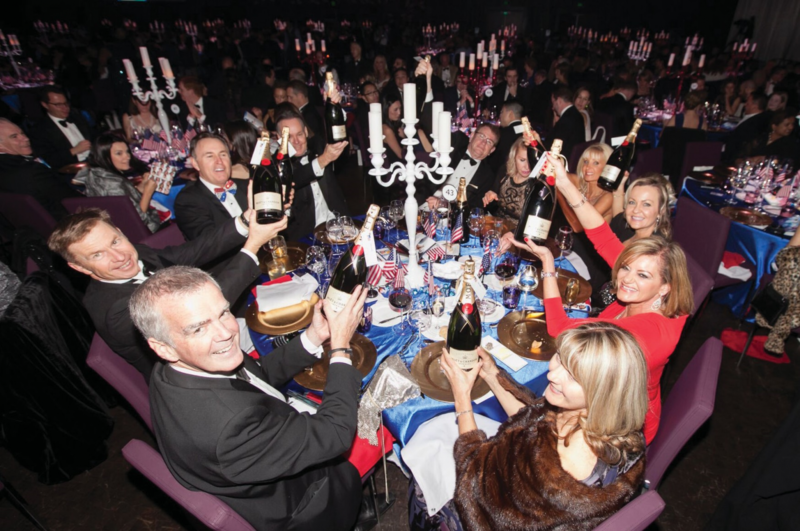 The choice of a chocolate and champagne theme helped the organisation attract corporate supporters such as Lindt and Moët Hennessy Australia. Moss also assembled what she describes as her ‘A team’ with celebrity chef Luke Mangan creating a chocolate-inspired meal, and Jamie Durie taking on MC duties. “We created this little team all these years ago and turned a gala dinner for a charity researching a condition no-one could even pronounce into one of Sydney’s most sought- after gala dinners,” says Moss. Moss says the decision to opt for a high-end ball was driven by her previous experience in event management and production – she wanted it to be party like no other. Having a high-calibre black tie event allows the Foundation to charge premium prices for tickets, which range from $450 for a single ticket or $6,000 for a silver sponsorship through to $25,000 for a diamond sponsorship. “What the Chocolate Ball is best known for, beyond the chocolate and the champagne, is the entertainment. Every year, our biggest challenge is to make sure that the Chocolate Ball is bigger and better than the year before,” says Moss. Pulled together by just herself and an events director, creativity is essential and they work hard to build theatrical elements into the event. Having a loyal A-team, committed sponsors and a fixed venue in The Star Sydney plays an important role in helping to manage the workload. “We host it at the Star simply because, as a ball, we have a large amount of entertainment. It has the number of green rooms we require for all the talent that is there,” Moss says. Moss’s main piece of advice for other fundraisers looking to put on an event is that it’s important to keep it interesting, even if you already have a successful formula. “Part of our recipe is that when you have an event, and you have people who will go because of their affiliation to the cause, you need to change it so they are still enjoying it. That ties into the ingredients that contribute to the quality of the event – no matter how big or small your event is, and no matter how big or small your team or budget is”. Danielle Thomson, Chief Executive Officer, FSHD Global Research Foundation will present more event fundraising insights from the Sydney Chocolate Ball at EventRaise 2019. The conference is being held Thursday 28 and Friday 29 March, 2019 at Swissôtel Sydney, 68 Market Street, Sydney. Click here for more information and to register.